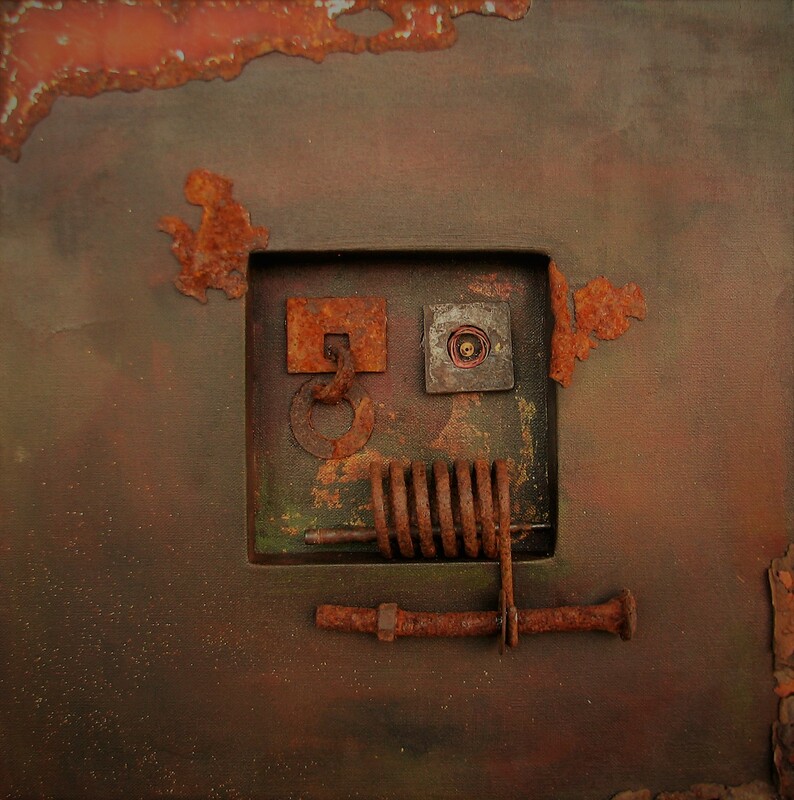 This assemblage comprises an acrylic painting on canvas, with found metal objects in the central shadow box and rusted pieces of metal attached to the perimeter. Apart from the canvas, the components of the work were found as discarded objects on a seaside walk. ‘Remnants’ is the juxtaposition of many shapes — flat, elongated, rectangular, circular, and coiled.